Space Raiders RPG is an old-school role-playing game from Geek Games, with turn-based battles and lots of exciting storylines. The Earth as we knew it is gone. What’s left of humanity now lives inside an asteroid called Lutetia hidden in underspace. You are a space ranger, humanity’s last hope in the hopeless struggle against the puppeteers who have taken over all the intelligent species in the Galaxy. Shape the game story with the choices that you make. 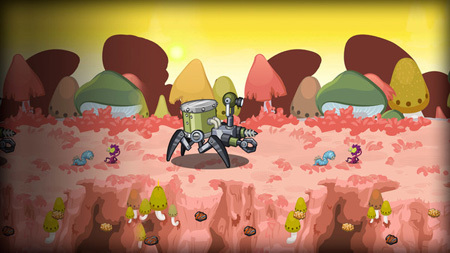 Develop and improve character traits, battle bots, space suits, spaceship modules and so on. Travel through hyperspace and to different planetary systems. Collect ore and organic matter to process in the ship’s Converter. If you get stuck in the game, check out the video walkthrough and gameplay for the game. This entry was posted in PC Games, Walkthrough and tagged Space Raiders RPG Cheats, Space Raiders RPG Game, Space Raiders RPG Gameplay, Space Raiders RPG Guide, Space Raiders RPG Hints, Space Raiders RPG Review, Space Raiders RPG Solutions, Space Raiders RPG Strategy, Space Raiders RPG Tips, Space Raiders RPG Walkthrough by Marvin. Bookmark the permalink.